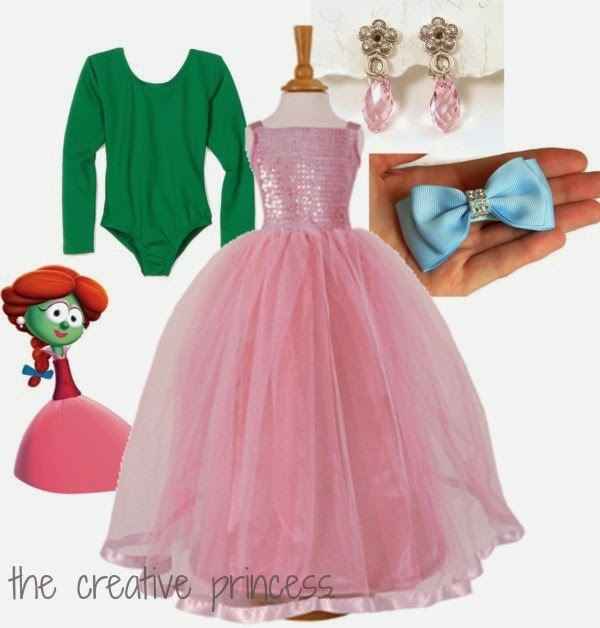 The Creative Princess: Dress as A Veggie with VeggieTales and Family Christian! Dress as A Veggie with VeggieTales and Family Christian! Halloween. It is one of my girls favorite 'holidays'. They absolutely LOVE dressing up, every day, in magical outfits and being transformed into beautiful princesses, rockin pop-stars, superheros, or whatever is their fancy for that day. Halloween makes it even more magical because they get to go out in their cuteness and get loads and loads of candy. 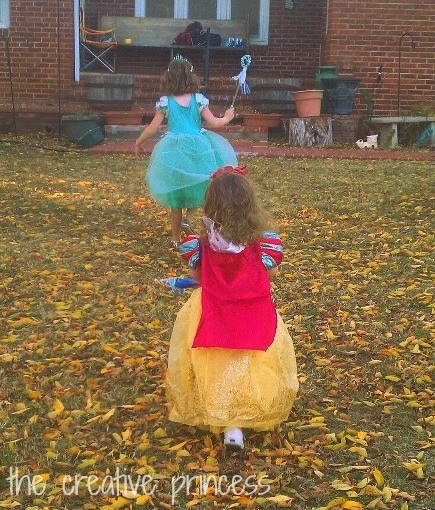 As much as they love dressing up, I think it's the candy they love so much. MG has ALWAYS been some sort of princess. Until last year. 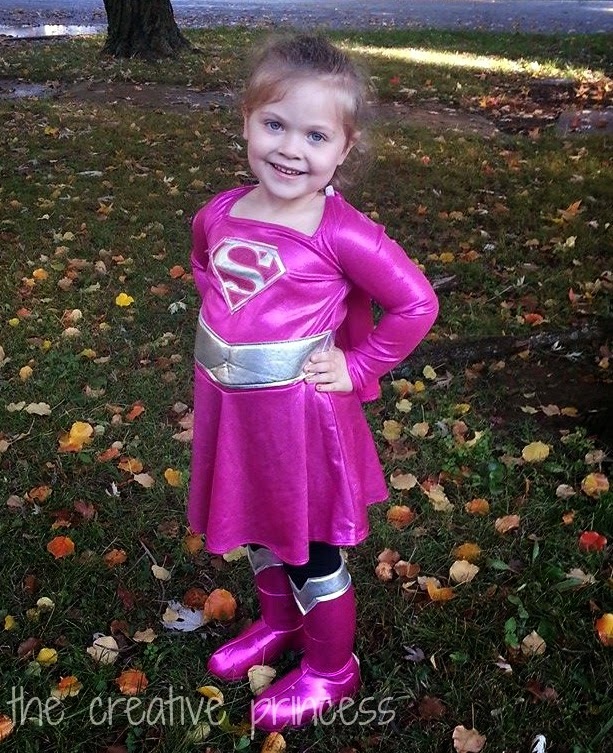 She HAD to be a Pink SuperGirl. Nothing else would do. 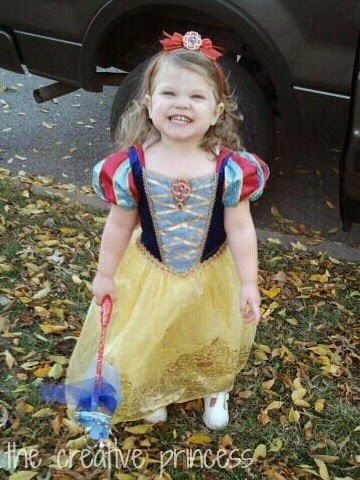 I was so shocked she did not pick a princess costume. 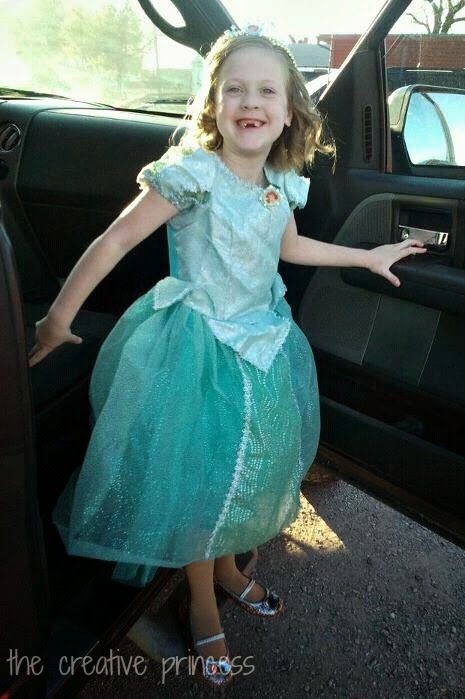 This year, she is back to a princess and will be Ariel, The Little Mermaid. She will be the mermaid version. A few years ago, her sister was the princess version. Oh my goodness! Look at my baby! Gosh she has grown SO MUCH the past two years. Mads has always varied her costumes each year. Some years she is a princess, once she was a pink butterfly fairy princess, last year she just HAD to be Mother Nature. This year she will be Dorothy from The Wizard of Oz. I don't remember her ever watching the movie. I'm not really sure why she decided to go with Dorothy. But, no other costume would do. We went to three different stores hunting it down. THREE STORES! I told her before we went into the 3rd that if we didn't find it, she was just going to have to pick something else. There was one left, it just happened to be in her size. That girl got LUCKY! Are you looking for a last minute costume idea this year? Because of my girls' love of everything princess, and VeggieTales, I decided to piece together the CUTEST SweetPea Beauty look. This is such an EASY costume! All it takes is a pretty pink 'princess' dress, pretty pink earrings, a green undershirt and a pretty blue ribbon for their hair. I can't wait to show the girls this costume! They are going to FLIP! Does your family enjoy VeggieTales as much as mine? 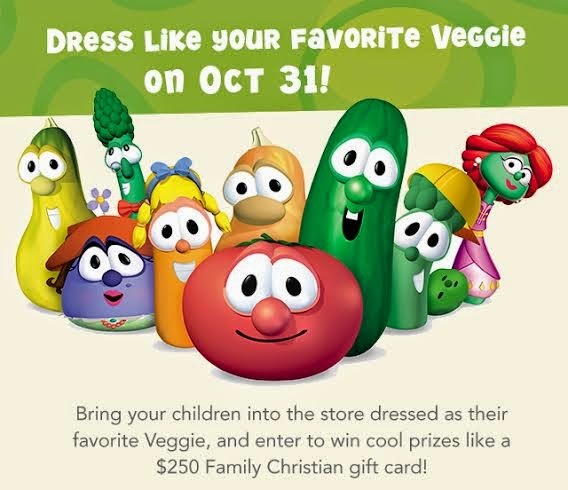 Head to your favorite Family Christian store, dressed as their favorite Veggie and you can enter to win cool prizes! How does that work? 1) Head over to Pinterest for some veggie loving inspiration. 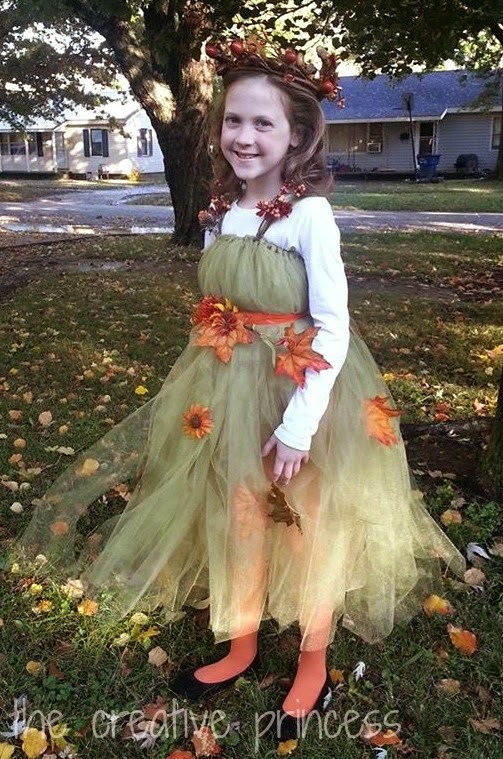 2) Snap a pic of your child in their veggie costume on Oct 31st and share one pic, in your local store, on Instagram. 3) Use the #FCVeggies hashtag, and don't forget to tag @Family Christian. The Grand Prize Winner will receive a $250 gift card to Family Christian, five runners up will each receive a $50 appreciation certificate. Head to your local Family Christian store on October 31st and join the fun! All children will receive small goodies, while supplies last. I can't wait to see what you all come up with!